Perth has ancient, sandy soils which are devoid of most nutrients. We have a range of mineral products to overcome this. Getting your soil chemistry right makes plants more robust and less prone to disease and insect attack, as plants need a wide range of trace elements to thrive. Click/Tap here for More Information on Minerals. Western Australian soils are some of the oldest in the world, and are extremely deficient in most of the essential nutrients we human animals need in our diet. Most minerals and fertilisers need to be broken down by microbial activity in the soil before they can be utilised by plants, which is why adding them to compost piles, or incorporating into the soil when adding organic matter is highly recommended. 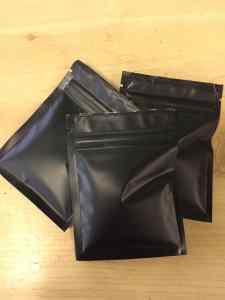 Return & Refill Service - Save packaging going to landfill & save yourself money! 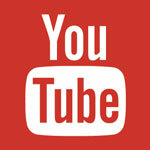 We are now selling many of our mineral products in polypropylene tubs. Many of these tubs are manufactured right here in WA (saving shipping & fuel). There are generally 2 or 3 tub sizes available. The tubs make great containers around the house, but we encourage you to return them to us when you need to buy more product. We can refill them and you will only pay by the kilo for your minerals; saving money and recycling packaging. When the containers have eventually reached the end of their useable life, they are recyclable by your local council service in your yellow topped bin - so together we can keep precious resources from ending up in landfill! 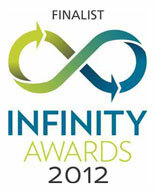 This refill & recycle initiative saw us selected as a Finalist in the 2012 Infinity Awards (Business Category). 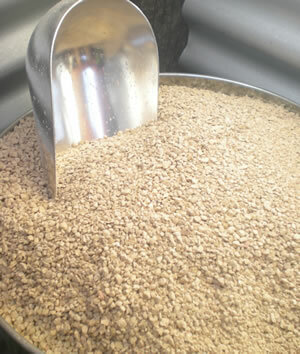 Available in 5kg or 20kg tubs. Highly absorbent mineral that has applications for gardens & pet care. 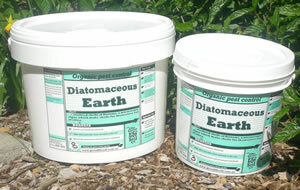 More information on Diatomaceous Earth. Available in 2.5kg, 7kg and 15kg tubs. Add to clay soils to improve drainage and root penetration. Adds calcium. pH neutral. Available in 8kg tubs and 25kg bags. Raises the pH of acidic soil. Adds calcium. A good additive to worm farms. Available in 1kg and 4kg tubs, and 25kg bags. Available in 5kg, 13kg and 20kg tubs. Potassium sulphate, used by plants to produce new cells and to strengthen old ones. Potassium is needed to produce flowers and fruit. Water soluable. Available in 1kg and 5kg tubs, and 25kg bags. Available in 1kg and 3.5kg tubs, and 25kg bags. Available in 4kg, 10kg and 20kg tubs. A mineral additive to aid water retention. 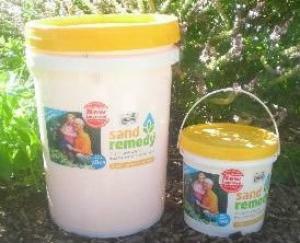 We recommend our Sand Remedy, which contains bentonite in a ready to use form. Available in 5kg tubs and 20kg bags. A mineral additive to aid water retention. Certified Organic. 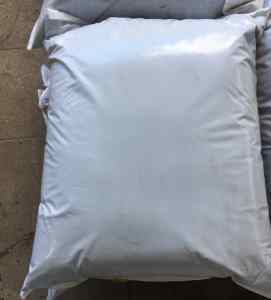 Available in 15kg bags, 500L & 1000L bulkabags, or in bulk. Available in 7kg and 15kg tubs. Certified Organic. 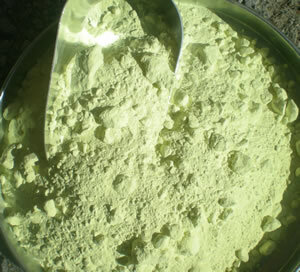 Natural source of phosphate, essential for healthy cell development of all parts of the plant. Incredibly stable form of fixed carbon. Highly absorbant, with excellent cation exchange properties. Excellent way of adding carbon (which won't break down) into sandy soil. Certified Organic. Available in 25L bags, 500L and 1000L bulkabags. 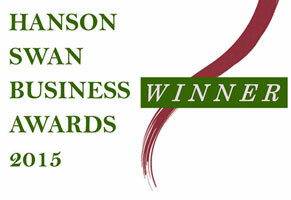 The range of natural minerals and rock dusts we sell are all natural products and are non toxic. However, inhalation of any fine dust over a prolonged period without using respiratory protection may cause lung disease (eg. silicosis). When using any mineral product, avoid using in windy conditions, and wear a dust mask when applying to protect from inhalation. Rock dust is made from finely ground up rocks; it is a by-product of rock crushing and polishing. It is usually a mixture of granite and basalt rocks. The benefit of having such a fine powder enables soil microbes and chemicals to break the minerals down, meaning faster availability for plants. This rock dust provides: Nitrogen, Phosphorous, Potassium, Calcium, Carbon, Magnesium, Sulphur, Silicon, Iron, Copper, Zinc, Manganese, Boron, Cobalt, Molybdenum and Selenium in a balanced, slow release form. Rock dust is less soluble than artificial fertilisers and stays active in the soil for some time. We recommend using twice a year only, at a rate of approx. 50gm - 100gm per m2. After 3 years of application, remineralisation need only be done every 3 years. Over application can lead to increased soil alkalinity. Remember that trace elements are important, but plants only require a very tiny amount. 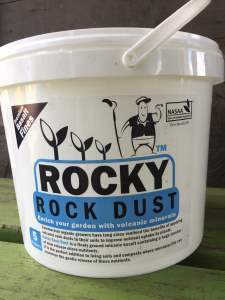 Rock dust works best in conjunction with good organic soil building, and can be added to compost piles and worm farms. Bentonite is a type of clay believed to be formed from decomposed volcanic ash – made from the minerals Montmorillonite and Beidellite (just in case you really wanted to know!). It is used in many industries for loads of different tasks – from sinking oil wells, to dam lining to kitty litter manufacture. 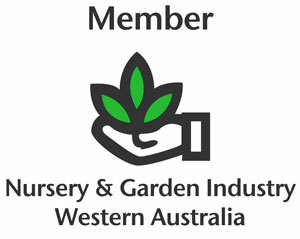 Essentially, it is of interest to gardeners due to its water holding ability. It is useful in binding soil particles together to create a crumb structure. 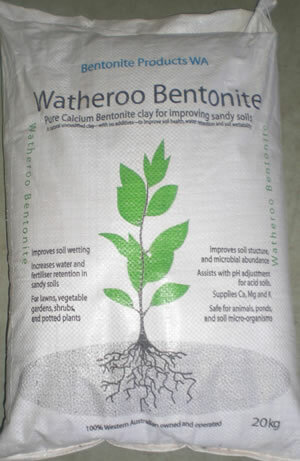 Bentonite needs to be worked into the top 100 - 200mm of soil. Use at a rate of 1 - 4kg per m2 on coarse sandy soils; the general rule being the poorer the soil, the more Bentonite to use. Use less in soils with a higher humus content, or in gravelly loam. Bentonite can be added in several applications over a period of time, if you are unsure try a lesser amount to begin with. We always recommend incorporating organic matter in addition to water holding minerals, as part of a complete soil improvement process. *Note – we recommend ‘Sand Remedy’, which is a pre-mixed product ready to use on your garden in place of soil wetting agents. It has a range of other minerals added, as well as trace elements, beneficial microbes, and a food source for them. It is designed for maximum efficiency, performance and ease of use. 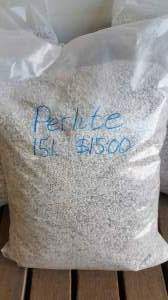 Produced through volcanic activity, Zeolite is a very porous mineral used in industry as a filtering agent for water, as a stockfeed supplement and in horticulture as a soil additive. Due to its porous nature, each particle has a large surface area, enabling what is known as ‘cation exchange’ to take place. This means that Zeolite can hold and exchange nutrients required by plants, making nutrients readily available. Otherwise known as hydrated calcium sulfate, Gypsum occurs as a saline evaporite mineral from ancient watercourses (similar to limestone). 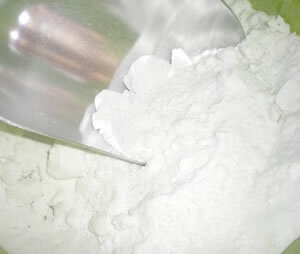 It is a major industrial mineral used in products from paper to paint, and also as a food additive. 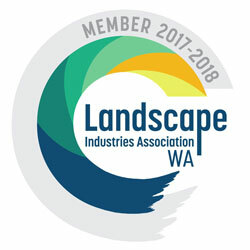 Gardeners are interested in its applications as a clay breaker, helping to improve structure and increasing the infiltration of air and water through the soil. It also allows plant roots to penetrate, alleviating compaction. Gypsum is pH neutral and is a useful source of calcium. Application: Not all clay soils will respond to gypsum. To determine whether your soil will respond, drop a piece of dry clay approx. 6mm across into a glass of water. Do not move the glass – just leave it for an hour, then 24 hours. If it slowly disperses into the water, first forming a halo around the piece, it will respond to the addition of gypsum. The greater the cloudiness of the water and the more rapidly the clay disperses, the more gypsum will be required. If however after 24 hours the particle has done nothing at all in the water, it will be a waste of time adding gypsum. 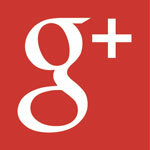 Gypsum should be added at a rate of ½ - 1kg per m2, digging into the soil. It is also beneficial to add organic matter to continue to improve the soil structure. Otherwise known as calcium magnesium carbonate (calmag), Dolomite occurs as a type of limestone. It is widely used in industry and horticulture. Dolomite will supply calcium and magnesium to your soil, and will increase the alkalinity (raise pH) of soils. Add small amounts of dolomite to worm farms and compost piles to counteract acidity. PH testing is recommended to ascertain the correct amount of a liming agent to be applied to the soil. Adding dolomite to already alkaline soils will result in nutrient deficiencies in plants. It is better to add a little often rather than one large dose. Sulfur/sulphur occurs in craters of extinct volcanoes, and is produced in association with hot springs (that rotten egg gas smell!). It is used in many products from match heads to rubber, and is useful in horticulture as a fungicide, insecticide and soil remedial agent. Sulfur is used to raise the acidity (lower pH) of a soil. In extremely alkaline soils, it is more economical to use sulfur in addition to naturally acidic mulch such as pine needles or cedar shavings. Adding organic matter will naturally help to lower pH – but quite gradually. Note that it will take some weeks to take effect. For a quicker result, use Chelated Iron which is mixed with water and applied with a watering can. 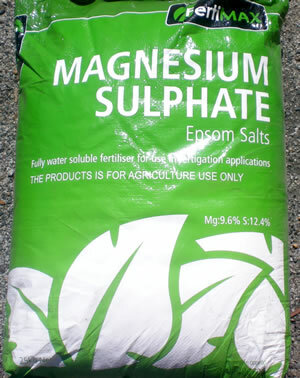 Magnesium is essential for photosynthesis in that it is an important element in chlorophyll production. Deficiency symptoms generally become evident in older leaves first and are indicated by a yellowing of leaf tissue between the veins, sometimes accompanied by orange tints. Affected plants deteriorate rapidly, loosing leaves and eventually dying. If you suspect a magnesium deficiency, it is a good idea to conduct a pH test on the soil, as it can be a symptom of too alkaline conditions. Dissolve 10 grams (approx. 2 teaspoons) in each litre of water and apply liberally over soil around the root system. For plants showing severe deficiency symptoms, repeat this application every 4 weeks until symptoms ease. Potassium is one of the three ‘macronutrients’ essential for healthy plant growth. It is used in chlorophyll formation and plays an important part in strengthening cells and the movement of water throughout the plant. This strengthening effect helps prevent damage and disease and improves the quality of flowers, fruit and seeds. 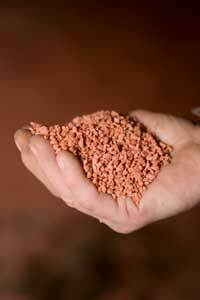 Sulphate of Potash also contains sulphur. Wet: Use 5gms (approx. 1 heaped teaspoon) in 2 litres of water and apply liberally over soil and foliage. Repeat weekly for 3-4 weeks. Best applied in early morning or evening. Dry: Apply at a rate of 20gms per square metre or 1kg per 50m2 and water thoroughly. Spongolite is actually ancient, fossilised sea sponges. It is used in agriculture, to capture industrial spilled liquids, in cat litter, fire retardant products, and thermal insulation. There are very large deposits of this mineral near Esperance and Mt Barker within Australia, and in Brazil. Spongelite is comprised of almost 99% silica, Silica plays a very important role in strengthening cell structure in plants, making them less susceptible to pest and disease attack. It also aids in healthy flower and fruit production. Spongolite is very lightweight and extremely porous. It has a natural ability to hold onto water. The sponge structure is silica based and very strong, which means it does not tend to break down quickly. In horticulture, it is used in potting mixes and garden beds to help with water retention. Containing silica, it is abrasive and care should be taken to avoid breathing dust particles (its needle like structure is similar to asbestos). It can be worked into the top 100 - 200mm of soil, or added to compost piles. The required amount of Spongolite will vary greatly depending on how poor your soil is. The general rule is the poorer the soil, the more Spongolite may be required. 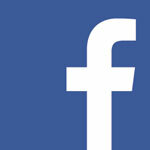 We suggest an application rate of between 250gms - 1kg per m2. (If in doubt, try a smaller amount and re-apply if required.) 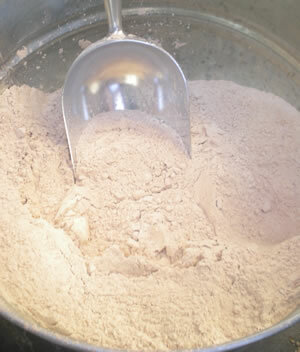 In potting mix, allow a ratio of between 2 - 10% of total volume. Dolerite is a locally sourced, crushed rock dust. It is made from crystalline rock originally formed through volcanic activity. It contains a broad spectrum of trace elements, and is an economical way to provide them into your soil. Excellent added to compost bins or worm farms. It can be worked into the top 100mm of soil, or added to compost piles. 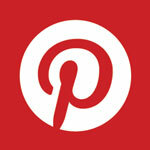 Use at a ratio of one small handful per square metre. Add to soil once a year, and to each batch of compost. Certified Organic. Rock Phosphate is sourced from deposits of ancient bat guano. it contains plant available phosphorus, calcium, silica and a broad range of trace elements. Phosphate is essential for healthy cell development of all parts of the plant, and is found in all living things (including us!). 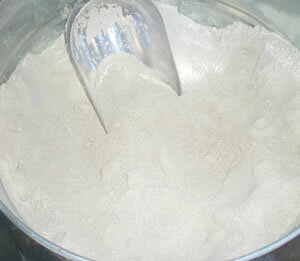 Phosphate is treated to produce Superphosphate, widely used in commercial agriculture. Natural reserves of phosphate are finite - there are some interesting articles on 'Peak Phosphate' out there which predict a dire future for our agricultural production once we have exhausted the natural deposits. Human urine is one of the richest sources of phosphate, so perhaps one day we will need to learn how to utilise this! Organic farming techniques which concentrate on building carbon content in the soil are more efficient at unlocking unavailable phosphorus and making it available to plants. It can be worked into the top 100mm of soil, or added to compost piles. Use at a ratio 30 grams per square metre. Certified Organic. Potassium silicate is a naturally sourced clay based mineral product. 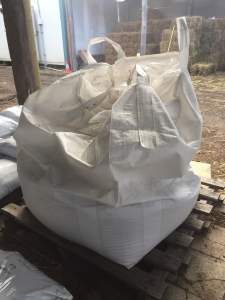 It supplies a slow release source of potassium and has a high available silica content, which can help neutralise the effects of sodium on plant growth. Potassium aids flower and fruit production, and gives better taste to fruit and vegetables. Silica is also useful in strengthening cellular structure. It can be worked into the top 100mm of soil, or added to compost piles. Use at a ratio 30 grams per square metre. Use sparingly, as over application can raise soil pH. 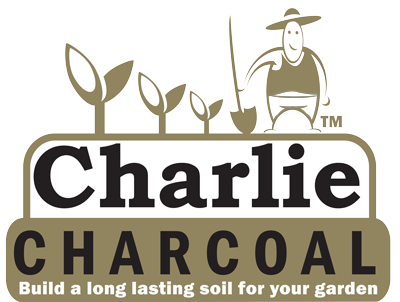 'Charlie Charcoal' high quality horticultural charcoal is in fact, a type of biochar. 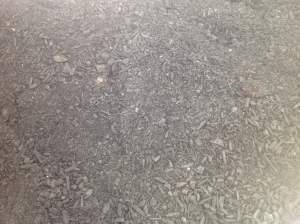 Biochar provides large amounts of carbon, which lasts much longer than compost does (although they both have important roles in soil improvement). It is also highly absorbent so will help with water holding in sandy soil. It also provides a habitat and food source for beneficial microbes. 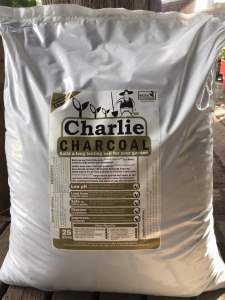 Unlike many types of biochar, Charlie Charcoal has a very low pH, and will help buffer alkaline soils on a permanent basis. A minimum of 2-5 lts / m² is recommended. Apply higher rates on sandy soils (up to 10L / m²). Turn into the top 100 mm of soil. Add between 10% by volume to potting mixes. Add up to 40% by volume when a low pH growing medium is required. Add up to 10% by volume when making compost to support microbial activity. Note: The Australian Government Australian Pesticides and Veterinary Medicines Authority have advised that DE is not registered under the Agricultural and Veterinary Chemicals Code Act 1994 ('Agvet Code') and as such it is an offence to represent it as a product which: "is represented as a means of destroying, stupefying, repelling, inhibiting the feeding of, or preventing infestation by or attacks of, any pest in relation to a plant, a place or thing and/or modifying the physiology of a plant or pest so as to alter its natural development, productivity, quality or reproductive capacity." We are allowed to tell you that insect pests don't seem to like it much. If you are looking at information about how people around the world have used DE, please Google it or consult organic gardening books, websites or forums. Diatomaceous earth is made from the remains of tiny single celled algae called diatoms, which make shells for themselves out of silica. When the diatoms die, the shells settle on the bottom of sea or lake beds and fossilize into a soft, chalky rock like substance. There are many DE deposits around the world which are mined for use in industry and agriculture. It is naturally extremely absorbent. DE’s microscopic structure consists of many sharp edges. DE can be dusted, sprinkled, raked, mixed with water and sprayed over plants or around the house and garden DE will continue to work as long as it is present in the environment. DE is also useful sprinkled in & around chook pens, kennel areas, etc. It will deodorise and absorb odours from these areas. Food grade DE is not poisonous to humans or animals. DE can be used in the garden, or inside the house. DE is a beneficial addition to compost heaps. It aids with controlling odours It will not harm earthworms, provided it is sprinkled on the top of the soil to allow worms to slowly digest it and work it in. Use only food grade DE. Pool filtered DE is chemically treated and is poisonous. 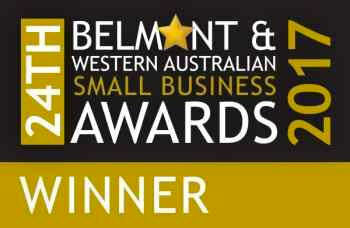 Our DE is registered in Australia as Animal Food Grade (but not for human consumption) and is Certified Organic by BFA. Care should be taken when using DE. Wear a dust mask, eye protection and gloves. While it is non toxic the tiny particles can be drying to skin and hands, and harmful if inhaled. Always wash hands after use.